Angora goats are known by farmers to have a slightly paler mucous membrane colour than Boer goats or sheep. This is important to know this when treating goats for roundworms. 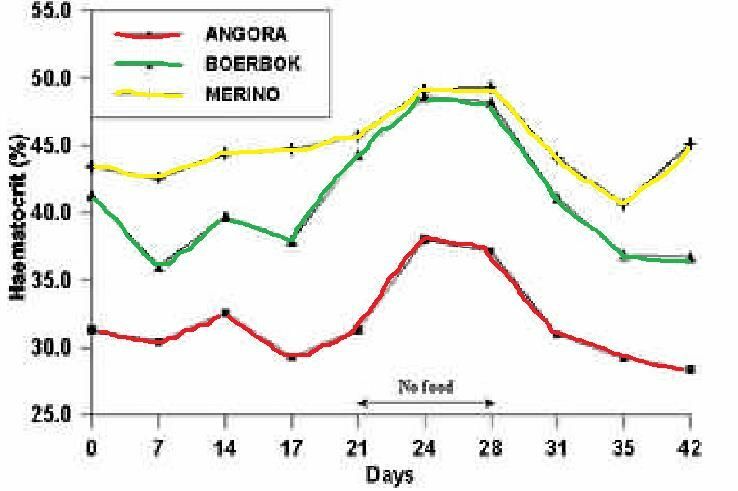 Most farmers evaluate mucous membrane colour when carrying out TST (Targer Selected Treatments) to maintain ‘refugia’ and reduce the development of anthelmintic resistance or when identifying and culling goats with poor worm resistance. 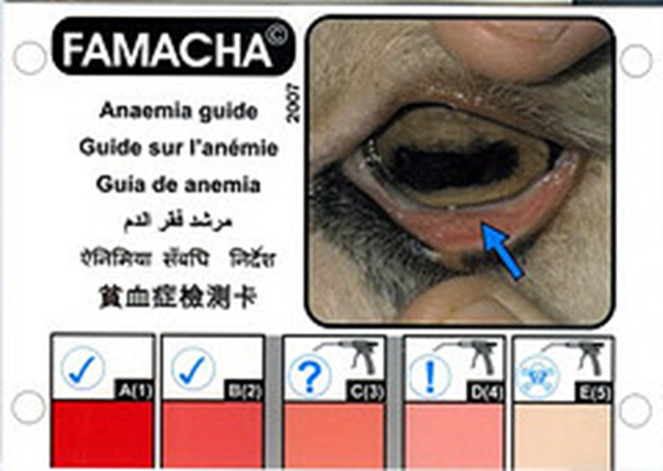 Many farmers use the FAMACHA system for evaluating mucous membrane colour. 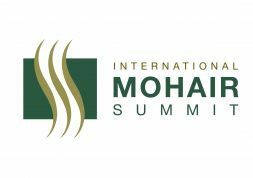 Herselman (Grootfontein) evaluated the haematocrit of Angora goats, Boer goats and Merino sheep.